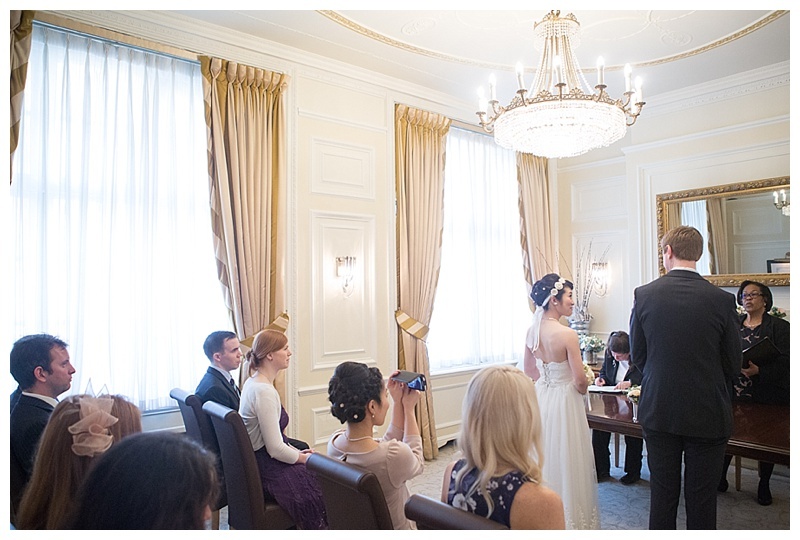 Naoka and Alex chose the luxurious Goring Hotel as the venue for their intimate civil ceremony wedding. 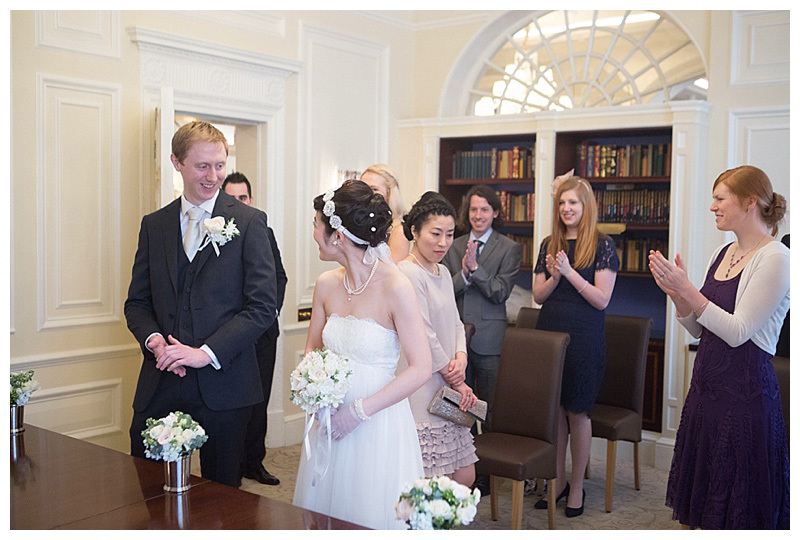 Naoka and Alex's sisters, and their university friends joined them to celebrate in quintessential British style. The Goring Hotel is London's only family-owned luxury hotel. It's a photographer's dream! The large windows fill the rooms with beautiful natural light, the stylish interior and quirky details everywhere leaves you spoilt for choice! It's going to stay firmly on my wishlist of venues, as I'd love photograph more weddings there. Naoka looked stunning! The lace details on her dress hem, gloves and INCREDIBLE veil were divine. Enjoy looking through a selection of photos to tell the story of their intimate wedding day. Naoka and Alex, I wish you all the best for a very happy married life together!